Looking for a location that speaks to a corporate crowd? Welcome to the Calgary Petroleum Club. We can transform this venue into your vision for almost any type of business or personal event. 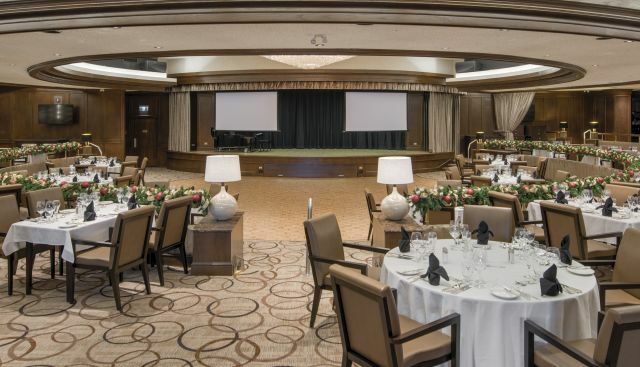 With our expertise, you and your guests will love this long-time Calgarian venue. Whether you want an intimate gathering or a formal speaking engagement, we have the talent to design your theme and décor. The largest venue in the Club, the Devonian, boasts 6,000 square feet of elegant event space. Available for breakfast, lunch, afternoon cocktails, or dinner, the Devonian room also offers optional adjoining reception space in the Woodbend Lounge. Memorable events begin in our McMurray Room. Available for breakfast, afternoon cocktails, or dinner, it’s a comfortable, spacious and inviting room for you and your guests. The stunning glass ‘bubble’ chandelier is the focal point for this elegant room. Additional reception space is available in the Renfrew Lounge. Don’t take our word for it. 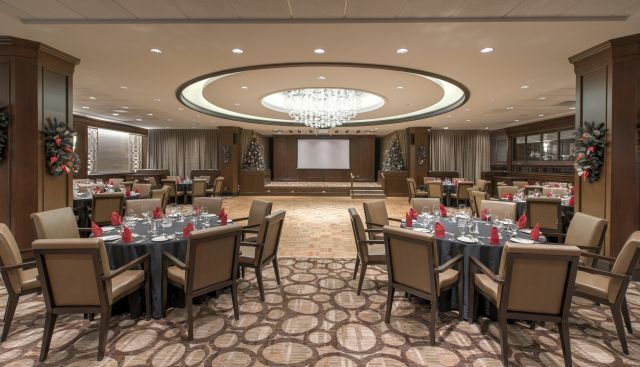 Both Calgarians and guests alike have commented on the beauty of Calgary Petroleum Club event spaces. Here’s just a few of the comments. One of the best venues for meetings and business meetings. Thank you to the Calgary petroleum club for making my 18th birthday as special as i could wish for. The staff was amazing and food was to die for!! Loved every minute of it! The Calgary Petroleum club is a fantastic venue with so much history! The staff is always great and the food fabulous! My band Metrobeat has had the honour of performing there many times over the last 10 years. If you have a corporate function or event planned and need a band, you can find Metrobeat on facebook or ask the staff at the club.